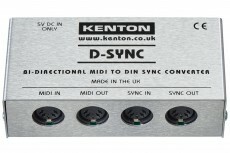 Receives MIDI clock and stop/start data and converts them to DIN-Sync (Sync-24). 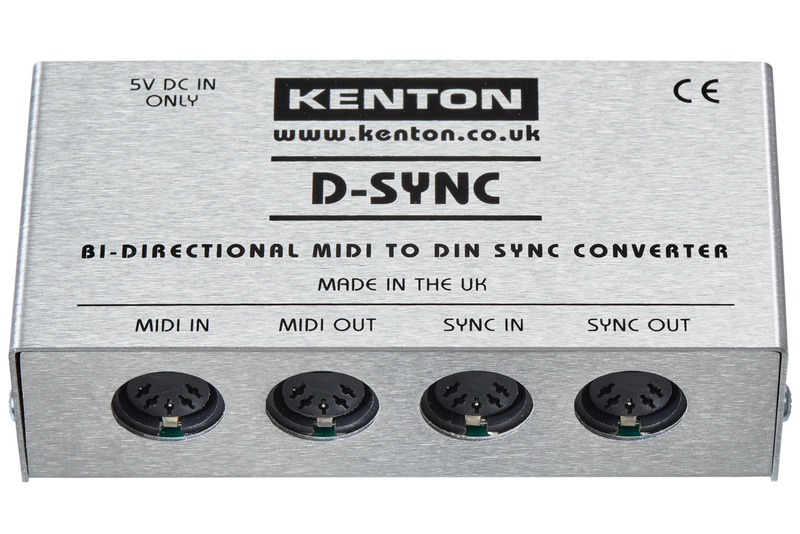 Also converts DIN-Sync back to MIDI. D-Sync was used in Roland machines like the TR-808, TR-606 and TB-303 to sync their sequences. With the D-sync these machines can now be synced to a MIDI- or DAW-sequencer or vice versa. 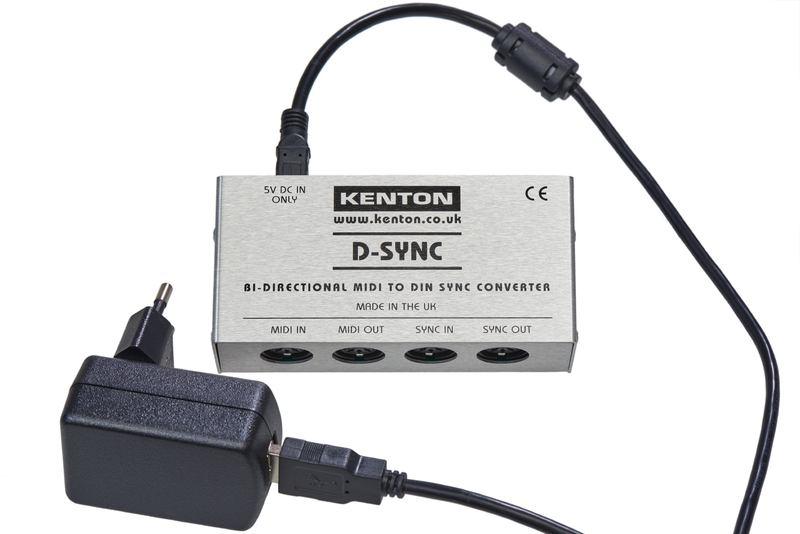 High quality Kenton MIDI MIDI to DIN-Sync converter box with opto-isolated MIDI In plus MIDI Out, Sync In & Sync Out sockets. Powered from a multi-region mains adaptor (wall wart) so you can fit and forget. 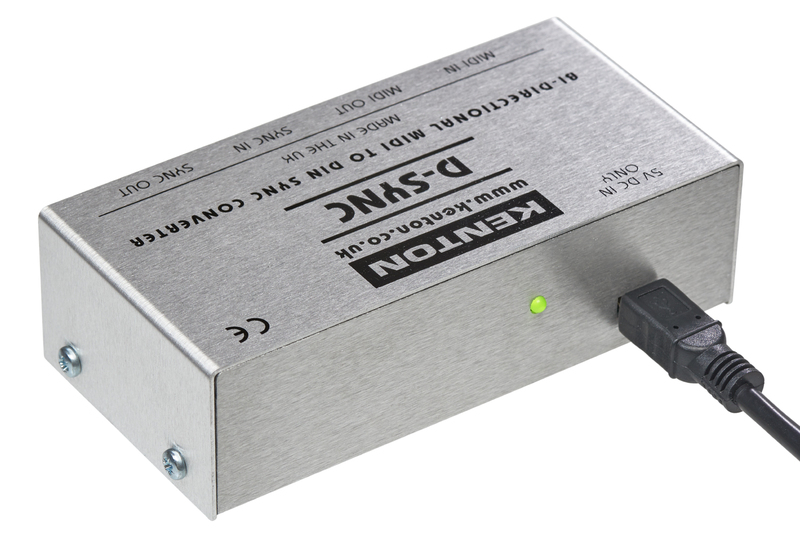 Can also be powered from a USB socket(although not a USB product) Power/Data indicator light Housed in a metal box so it can withstand the knocks Attractively finished in brushed aluminium with black screen print 5V switch mode power supply included. This product is supplied with a multi-region power supply.